Every other day, my son works on a 5 pages of summer math (I should say 5 pages of addition & 5 pages of subtraction) & 5 pages of phonics homework. We also read everyday over the course of this 12 week summer break. Did I mention he's going into second grade? Here's the thing: My son loves to read and excels at it. 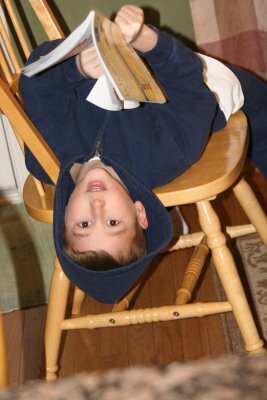 He is currently on book 15 in The Magic Tree House Series and he only started to read them when school ended June 2nd. (These are not the only books he has been reading) My son doesn't like Math so much, although he excels at that as well. He has attended Kumon since he was 4 years old and told me that he wanted to take a break over the summer from these studies. We agreed that he could take a break but that he would need to complete "homework" at home with me instead. I found a great file to download on Mastering Math Facts that include timed tests in addition to some great home school books (I prefer LifePac). He loves thes timed Math tests! They are challenging and wonderful, and something that we will be able to use for a number of years in this house. In addition to the 3 day a week homework sessions, my son (and my daughter) attend a private tutoring session once a week at the private school they attend. My son is working with the 7th grade Science teacher and She.Is.Fantastic! My son loves to see her each week and conduct some amazing experiments, little does he know that he is actually learning mathematics skills. My daughter sees my son's 2nd grade teacher and she is wonderful at getting dear daughter to focus more and sit.still.a.bit. I also enrolled my daughter in a summer reading program through Institute of Reading Development. While this particular class was not a good fit for my daugher, I am not fully discounting the program. The class was for children entering Kindergarten and frankly a level too low for my duaghter and she was bored.to.tears and the teacher was quite obviously brand.new to teaching and could not get his nose out of the manual (yes, I gave the teacher and the program a not so great evaluation). As a parent, I want to foster the love of learning in my son and my daughters as well. They do have the homework 3 times a week, which they enjoy, really, they do. My daughter has her Kumon homework that she must complete on a daily basis (tracing, math & phoenics), in addition to the momma homework (this is a great resource for printing activities) and I am working with her on beginning reading books, which basically means that she is memorizing these books to read to me (absolutely okay). 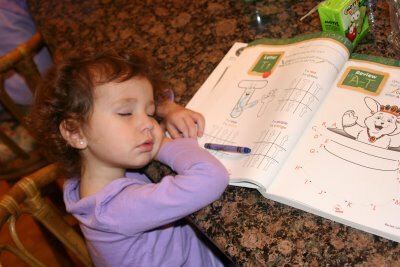 The homework isn't intense; but I do make it challenging, just to keep the academic juices flowing. When school begins again in August, my son and daughter will be fully prepared to begin on the first day of school. Many parents may feel that the summer focus should be on fun and swimming pools and picnics and baseball games and not be focused on reading and math and phonics. But I can say this with full emphasis: my children are enjoying baseball games and picnics and daily trips to the park and swimming 3 days (or more) a week AND we still have the homework & tutoring sessions AND my children are having a fantastic summer break. So, do you think your children should have summer homework? And if you don't believe in summer homework, do you find ways to strengthen your children's skills with educational activities?